Former PGA Championship winner Rich Beem believes Rory McIlroy needs to not only have fun putting again in a bid to reignite that part of his game - but if possible amid "contractual obligations", perhaps try out new putters. The 2002 major winner, who is now a golf commentator and analyst with Sky Sports made the cut at the weekend at Baltusrol as his compatriot Jimmy Walker went on to win the tournament. 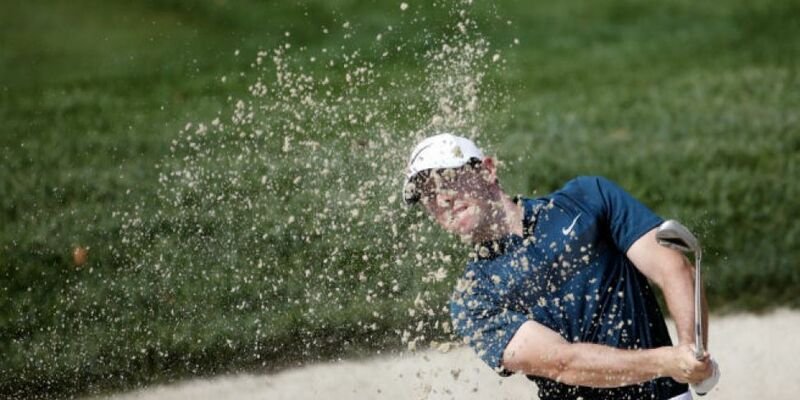 McIlroy, who is contracted to Nike, on the other hand, missed the cut at the weekend. "He's got to change something and I think he's got to go back... try and think about how he putted when he was a kid and don't always think about the mechanical part of it, think about the feel, think about the touch, have fun putting again because he gets over it and he just doesn't look comfortable or confident," said Beem, before sharing the story of bumping into McIlroy last week. "I could see this gleam in his eye, like he really wanted to take it out and hit it on the putting green and yet I don't think he did because of contractual obligations. But you kind of feel bad for the guy that's locked in to a contract with a manufacturer. It doesn't feel like he can go out and really play with a golf club that he really wants to play with - even looking at a different putter for a change can certainly change your attitude, thinking and feel. Something's got to give because he is too good of a ball-striker from tee to green to go out there and struggle so mightily on those greens." As for Walker, Beem feels the influence of renowned golf instructor Butch Harmon has had on the American. "Ever since he went to go work with Butch Harmon, he's really gained a lot of confidence and that's one of the great things that Butch does. He basically just instils a lot of confidence in the player and that certainly was the case with Jimmy," he said. "He's always been a good talented player but just never quite had the confidence in him and it's shown from the time he won three tournaments in eight a couple of years back."